I’m lazy. 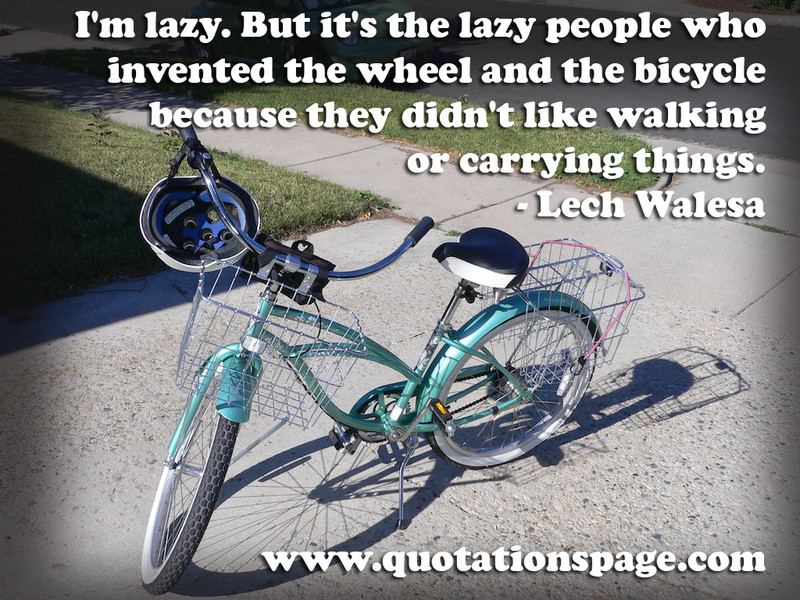 But it’s the lazy people who invented the wheel and the bicycle because they didn’t like walking or carrying things. For years, I have thought this to be true. I’ve thought that my laziness was a GOOD thing because it made me invent better ways of doing things. But when I look at it honestly, ONE important question comes to mind. What EXACTLY have I invented? Sure, I’ve found quicker ways to put away the dishes and clothes after they’ve been cleaned, but aside from that, laziness has done nothing but HARM me. It’s one of those character defects that I cling to with the flimsy excuse of finding a “better” way. Guess what? There is NO better way to stay thin than to eat properly and exercise. You can’t escape it. 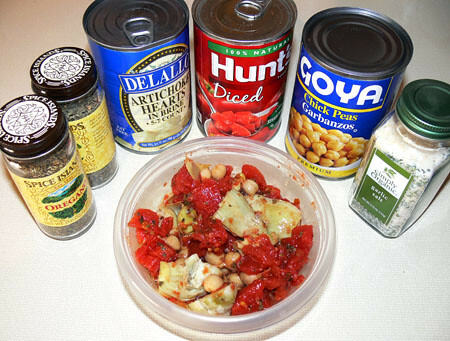 There is no bare minimum to eat that won’t throw your body into starvation mode. There is no time when I will be so thin that I won’t have to exercise every day. It’s just not going to happen and clinging to that hope is just me living in denial and choosing laziness over recovery. The next time you’re thinking of skipping your workout and deciding that there MUST be a better way, think about this. The next time you see an infomercial for an exercise machine or pill that promises a workout without the sweat, think about this. There is NO other way. Discard your laziness and come to the stark realization that a healthy body REQUIRES exercise, industriousness and work. Who Among Us Can Truly Be Said To Be Good? I saw this comic fromThree Panel Soul the other day and it made me cry. Owner: Who’s a good dog? Dog: Whoah, that’s a hell of a question. Owner: Who’s a good boy? Dog: Who among us can truly be said to be good? What is goodness? ALL of us are like that dog. We feel that we are not good enough. We feel that true goodness is unattainable with our flawed selves. We just need that owner. We just need to know that someone thinks that we are good. Someone who is better than us thinks we are worth it. Every one of us has that unseen owner within our own minds. It is the aspect of your mind that you are not able to access at all times, but you see glimpses of it when you are dancing or singing along with the radio. Maybe you can catch it watching you as you meditate or when you are working very hard on a project you care about. Get in touch with that part of your brain. It thinks you’re good. It wants to tell you that every day, but you can’t hear it because the noise on the television is too loud and the headlines of the newspaper are blocking your vision. If you can teach yourself to listen for it and listen to it, then the appeal of food won’t attract you as much anymore. It will be a dull attraction rather than a siren song. I knew that there couldn’t possibly be actual pumpkin in Pumpkin Spice Lattes and Pumpkin M&M’s, but this video made that stunningly clear to me. So, pumpkin flavoring is made from a concoction of chemicals that mimic the taste and mouth feel of pumpkin. Even the option that I suggested in my entry, Beware The Pumpkin Spice Latte, is the same concoction of chemicals, they’re just provided in a sugar-free format that is much less expensive than the coffees at Starbucks. More importantly, is the manipulation from the food industry with LTOs. Limited Time Offers are foods that are only available certain times of the year. This is NOT a new thing. Cadbury Creme Eggs and Peeps during Easter, fruitcake during Christmas and even turkey and stuffing during Thanksgiving are all foods that are only available for limited times. How many times have I overeaten because I thought that I wouldn’t be able to get that food again for a year? The problem is PERCEIVED SCARCITY. We could cook a turkey any time, but we only have them at Thanksgiving. We could buy that Torani Pumpkin Pie Sugar Free Syrup for our coffee at any time, but Starbucks has somehow convinced us that it is only available in the fall. None of these things are actually scarce. The food manufacturers use marketing and self-imposed limits to make them scarce and even create hoarding. There is no pumpkin in pumpkin spiced lattes. There is also no limit in Limited Time Offers. Cans of pumpkin are available ALL YEAR LONG. Don’t fall for their marketing techniques. Make yourself a REAL pumpkin pie with this recipe and you’ll be out only 170 calories, as opposed to the 510 calories in a Starbucks Venti. Wouldn’t you rather have the REAL thing? Then don’t settle for the chemical concoction. I want to see the animated version of this! 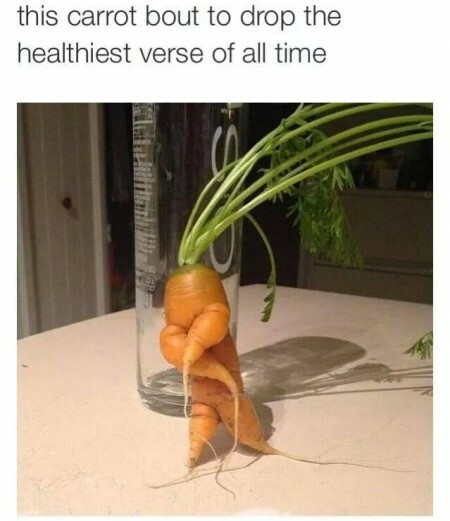 I have never in my life loved a vegetable enough to write a rap about it. I don’t think I’ve loved any food enough to write a rap about it. I was too busy eating to be that creative. This holds true for ourselves. We can do all the self-esteem exercises in the world. We can meditate and recite our affirmations all day long, but if we don’t DO what we say, then we are LIARS. The only way to prove to ourselves that we actually love ourselves is by DOING loving things. You don’t show that you love yourself by repeating the phrase, “I love and cherish my unique self.” You SHOW it by taking good care of yourself. Start SHOWING yourself that you love you today and eventually you will notice that you no longer have a low self-esteem. And, more importantly, when you HATE yourself, do these things anyway. It’s the only way out of your well of self-hatred. Original image via: Hi., Perfection. 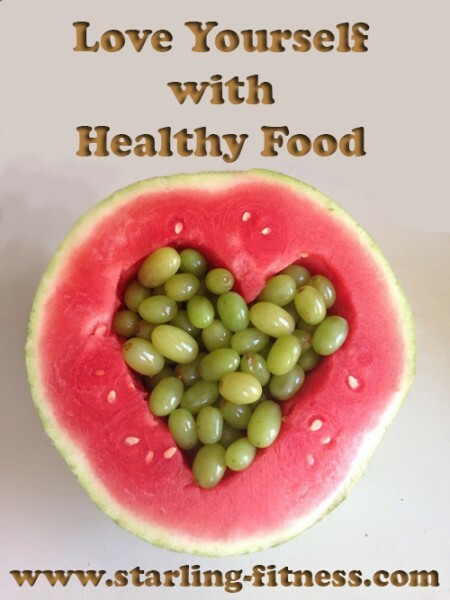 Each recipe makes three meals and shows you all the easy ingredients. 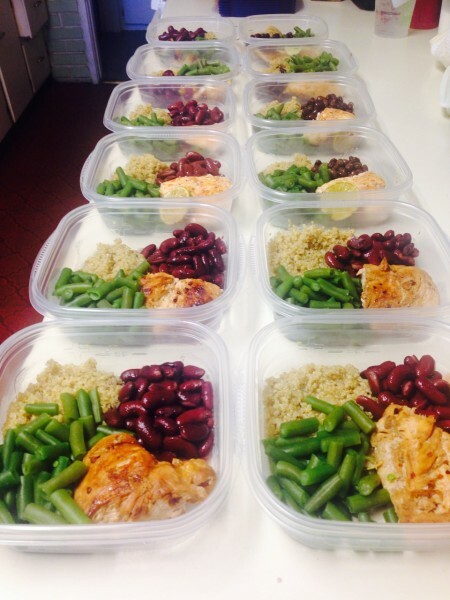 I haven’t done this for a long time because I got sick of eating these meals over and over. Part of keeping the dopamine response to healthy food fresh is varying your meals. I haven’t eaten these meals in so long that they look good to me again. It’s funny how we need to be reminded over and over things we’ve already learned. I found this banner on Pinterest the other day. It’s true. 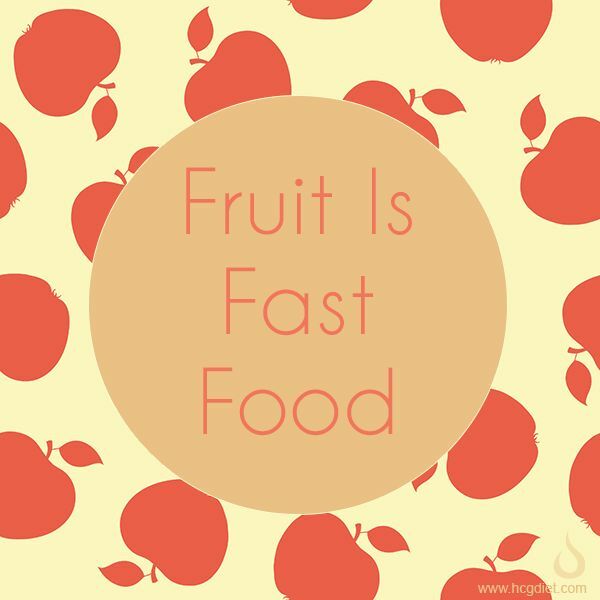 It’s really easy to grab an apple, pear or nectarine on your way out the door. The only problem with this idea is if you didn’t BUY the fruit the last time you went grocery shopping. Make sure you put fruit and easily edible veggies (like baby carrots or pre-cut celery) on your grocery list. You can’t eat what isn’t there. Imagine yourself in a lush, green park. The grass is perfectly soft and dry. The sun outside is bright, but a light breeze keeps you from getting too warm. You sit in the grass and start thinking. First, you think about bingeing. You think about that feeling and feel it deep in your chest. That compulsion feels heavy and black and you gather it into your hands, squishing it into a ball. Then, you scan your body for pain. Anything that hurts and anything that even twinges starts migrating to your chest as well. A black lump of pain congregates near your heart, but you gather it into your hands and add it to the ball you have, smoothing it and compacting it like a black snowball. Then you think about all the emotional pain you are dealing with right now. Anything that has hurt your feelings in the last few hours or days or even weeks or years, let it come to your chest. Let it gather like another lump of blackness. Remove it from your chest and add it to the ball in your hands, ever smoothing it with your fingertips. Finally, think about all the pain around you. Loved ones who are in pain. Those who have harmed you. Anything external to you that is affecting you negatively is attracted to the ball in your hands. You can feel it getting quite big from all the pain that is within you and without you. In your hands, work that ball. Push upon it with your hands, making it more compact and smaller. It is still rather heavy, but you have finally gotten it to the size of an eight ball on a pool table. Shiny, black and firm, you keep compressing this ball until you are unable to make it any smaller. As you run your hands along the black smoothness, you look up to see an eager puppy in front of you. You realize this puppy is your spiritual guide and she misses you so much. She hasn’t seen you since the last time you tried meditating and she is overjoyed to be with you again. She eyes the black ball of your pain and you know that she wants to play fetch. You throw the ball as far as you can. The weight of it makes a thump on the soft grass, far down the field and the puppy races to get it. She grabs the ball and brings it back to you, dropping it at your feet. When you pick it up, you can feel that it is smaller, lighter and softer than it was before. The puppy is jumping at your hand, begging you to throw it again and you toss it away even further than before. After many throws, the ball is a small and malleable lump in the puppy’s mouth, but she is tired of fetch. When you try to take the ball from her to throw it again, she dodges away from you. 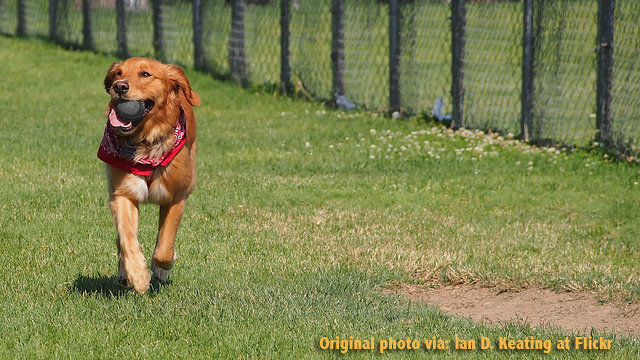 After a few chases, she lies on the grass just out of your reach, chewing on the ball. She keeps chewing until it dissolves into nothing. Your pain is gone, cleansed by the love of your spiritual guide and the two of you can now walk along the grassy field of the park in the sunshine together, happy and content. At some point, not even the best food in the world could appease me. I couldn’t stop eating. Nothing satisfied me and I was hungry ALL day long, no matter what I ate. I recently rewatched Constantine and Father Hennessy’s death scene is exactly what it was like for me with food. It’s a wonder I didn’t end up dead, just like Father Hennessy, covered in creamy filling and salty crumbs instead of drowning in alcohol. I am so grateful I found OA. It took me ten years of suffering to get there, but I got there alive, despite Balthazar on my shoulder at every moment. I don’t know how to express how much this scene from the end of Indiana Jones and the Final Crusade has helped me. If you have never seen the movie, watch it now, or be spoiled. In this scene, Indy’s father has been shot by the Nazis and the only way he can save his father is by going through the three trials and finding the Holy Grail. Fortunately, his father kept a detailed Grail Diary documenting the three trials. The first trial is The Breath of God: Only the penitent man shall pass. I love how Indy and his father repeat it over and over. Penitent, penitent, penitent. At the last minute, Indy realizes he needs to kneel before God or he will be struck down by very real blades. To me, this trial represents the first step in the Twelve Steps. You MUST be humble for this program to work. You MUST admit that you are not as cool as you thought you were. You have to be so defeated by this disease that you bow your head in humility. God, not required. The razor sharp blades of your disease will cut you down whether there is a god or not. The second trial is The Word of God: Only in the footsteps of God will he proceed. Indy reads the Grail Diary and realizes he needs to spell out the name of God, which was easy! Jehovah! The final trial is The Path of God: Only in the leap from the lion’s head will he prove his worth. A quick look at the Grail Diary tells him all he needs to know. This is the third step in the Twelve Steps. You must believe that a power greater than you can stop you from killing yourself. You have to hand yourself over to it, whatever it may be. You just close your eyes and step onto that delicate bridge. It will be there under your feet as long as you are careful. I’ve looked all over the Internet and I can’t see any reference to the Twelve Steps with this movie. In fact, Indy’s dad said he found these clues in the Chronicles of St. Anselm. Most believe that to be St. Anselm of Canterbury, but I did a search through all the works of St. Anselm and found nothing written that is even close to the phrases in the three trials. I must have watched this movie at a very impressionable time in my teens. I can recite this scene almost verbatim and when I have felt too cocky, I repeat to myself, “Only the penitent shall pass.” When I have felt like I could just skip my meetings and do this alone, I repeat, “Only in the footsteps of one greater than you shall you proceed.” Each time my atheism got in the way of my recovery, I thought about that leap of faith and Indiana Jones standing on the slim and cleverly disguised walkway. I didn’t need to believe in God. All I needed to do was believe that it could be done with the help of someone else.